This shirt has more sheen in person when compared to the photos online and in print. I purchased a panama blue a few years ago and this may have similar shine...note that it wears off considerably after a few washes. 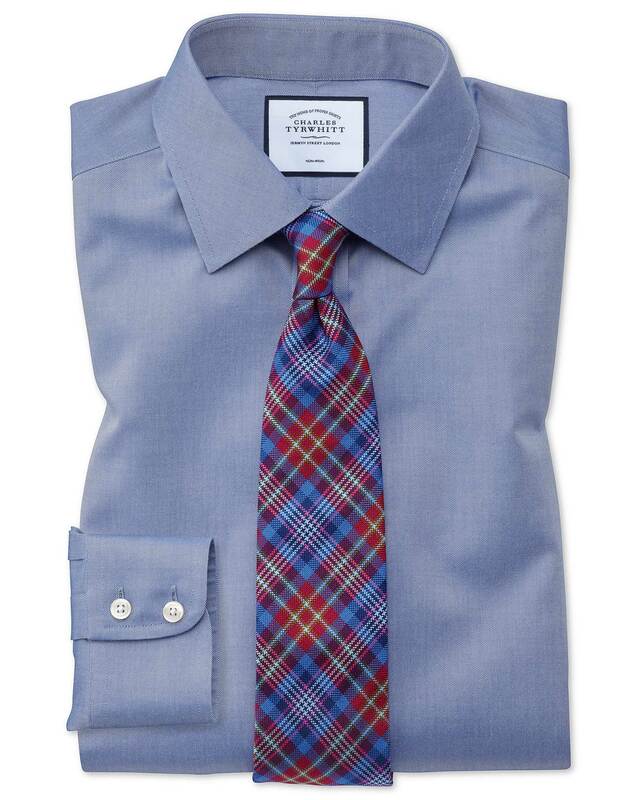 A rich blue and perfect for gray, tan or navy suits, blazers and just jeans or khakis. Nice color and fit. Washes well. Easy care, the wrinkle-free fabric is not as easy to care, wrinkle-free after easy car clothes washing and easy care clothes drying.